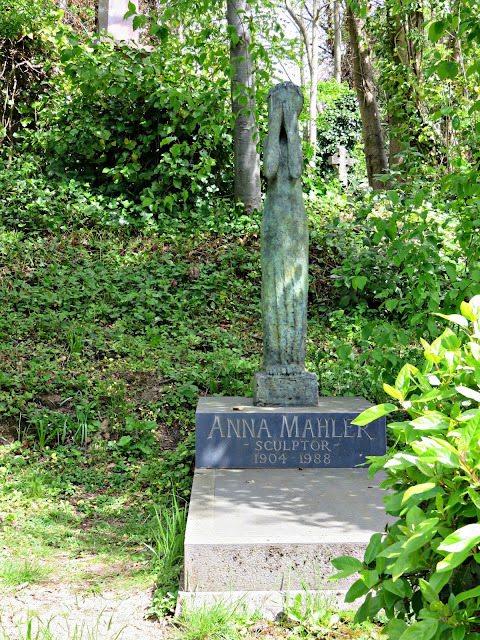 I've had a strange urge to visit Highgate Cemetery ever since I read Her Fearful Symmetry by Audrey Niffenegger. 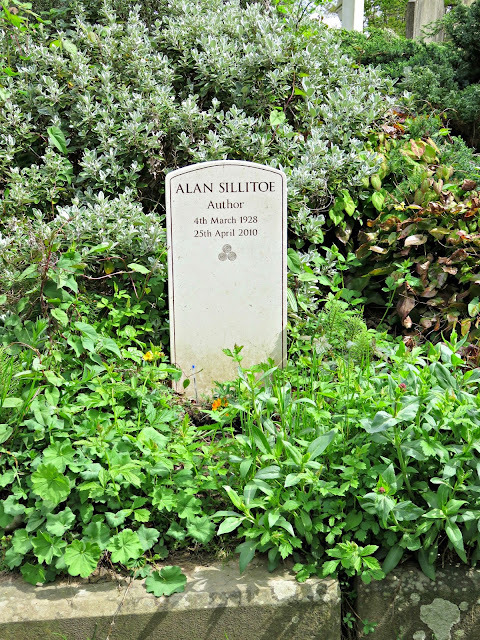 As much as graves and the proximity to potential zombies gives me the creeps, Highgate Cemetery is home to a number of literary greats so I figured at least the zombie-pocalypse would be quotable. On Bank Holiday Monday, after a very lazy morning spent dozing, we were trying to decide what we wanted to do for the day. With London it sometimes feels like you have the world at your fingertips which, for an indecisive gal like myself, can be a touch overwhelming. M was doing a bit of research and found an interesting looking market happening in a venue in Highgate. A quick look on the map and it turned out the market was right next to the cemetery and so, bish bash bosh, a plan was formed. There was actually something surprisingly calming about Highgate Cemetery. 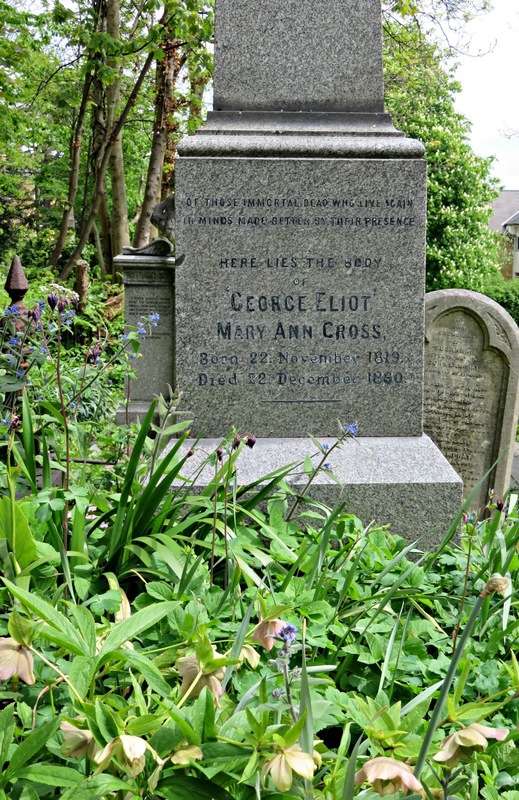 There weren't too many people there, which can be hard to come by in London, so we definitely made the most of it as we wandered amongst the tombstones. It felt slightly odd to be 'celebrity-hunting' in a graveyard, but we just rolled with it and found all the big guys and gals - Karl Marx, George Eliot, Douglas Adams, Alan Sillitoe etc. 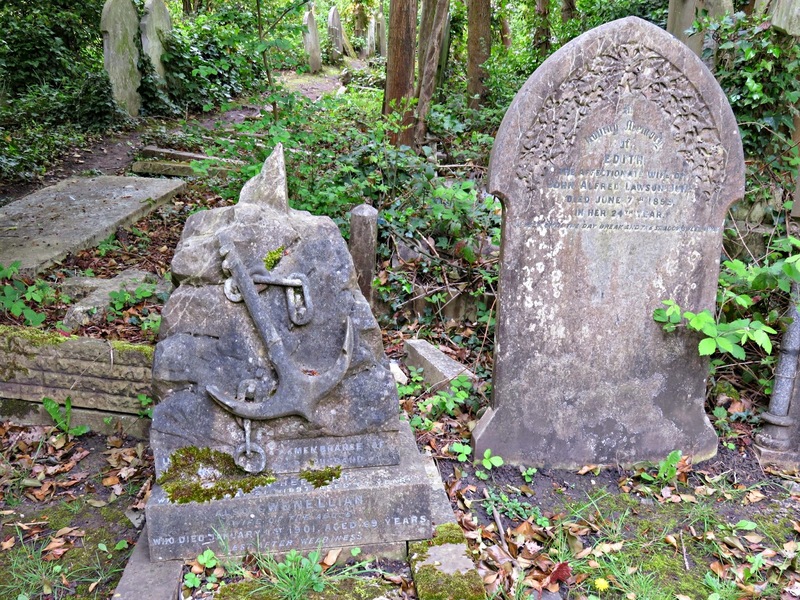 As much as finding the pot of pens in front of Douglas Adams's grave was brill, my favourite thing about the cemetery was all the super old gravestones, with the words half rubbed away and the sides crumbling, poking out through the foliage. They seemed forgotten about, but not in a sad or lonely way. I think it was these that gives the whole place such a serene atmosphere. 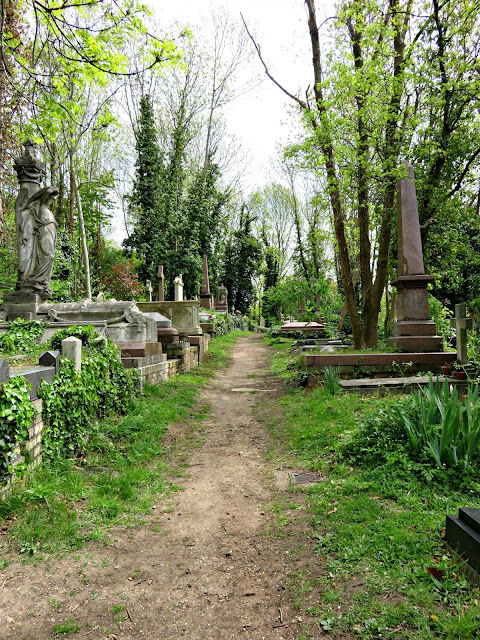 Have you ever been to Highgate Cemetery?